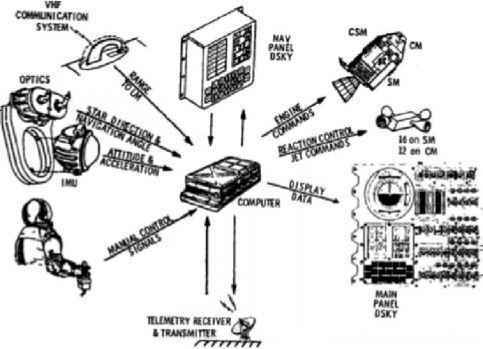 The IL system plus the Honeywell system meant that the Apollo spacecraft contained two nonredundant control computers, two sets of gyros, two sets of electronics. Why? Cline Frasier was the NASA representative on the project: ''I was always nervous about all of these mechanical parts running around.'' His first idea was to put the MIT and the Honeywell computers in parallel rather than in series, so that if the analog one failed the digital one could still fly the craft.52 But Frasier went one step further and convinced Shea to eliminate the Honeywell autopilot and incorporate its function into the digital computer. Shea had been the program manager for the Titan missile, which used digital computers for flight control, so he was no skeptic about their capabilities. ASPO manager Clifford Duncan made the digital autopilot decision in June 1964. ''So Cliff [Duncan] sent me to the Instrumentation Lab to go up and tell the guys,'' Frasier recalled, ''that instead of two computers there is only going to be one. Instead of just doing the guidance, they were also going to do digital autopilot. ''53 Though not eliminated, the Honeywell SCS was much reduced in complexity to provide a simple analog backup to the digital autopilot.54 For the IL engineers, this change amounted to doubling the responsibilities of their computer, and hence doubling the work to be done before the flight (fortunately, NASA ordered the memory doubled as well, but the IL still had to write and test the programs). Putting a digital autopilot into Apollo was a radical step. Today, some commercial airliners use this fly-by-wire technique, but in the 1960s, no aircraft had yet demonstrated digital fly by wire, and only a few research aircraft had used an analog form. The astronauts were none too happy. ''Why don't you guys quit wasting time,'' David Scott recalled thinking about the decision, ''go back to MIT and think. ''56 Frasier believes the digital autopilot never would have been approved were the flight crews not too busy with Gemini to notice. He remembers running into Pete Conrad one day in a hallway, and Conrad ''just chewed me up one side and down the other and said that we're crazy. That his friends at Grumman had told him this stuff wasn't going to work, and it was his life on the line, and kind of on and on.'' Frasier, a junior engineer at the time, was genuinely intimidated at being told off by an astronaut, but the decision had been made.57 The astronauts could make their peace with it, or they could choose not to fly—which none of them did. As Davey Hoag put it, ''The way we look at it, we actually have four autopilots. 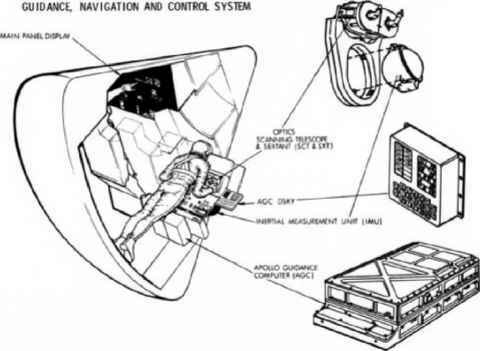 ''58 The CSM and LM each had two separate modes: free fall mode, which provided attitude control while the vehicle was coasting or in orbit, and thrusting mode, which controlled the large engine on the command service module for major maneuvers. Hoag might have added two more for the CSM: a boost mode, where the AGC monitored the Saturn rocket's performance, and even allowed an astronaut to manually takeover if the Saturn's guidance failed in the second or third stage (a vestige of the piloted-boost debate), and a reentry mode, which worked similarly to the Gemini computer. For any particular mission mode, the navigator would select the program using the computer's keypad. This new role for the computer had great impact on the IL engineers. 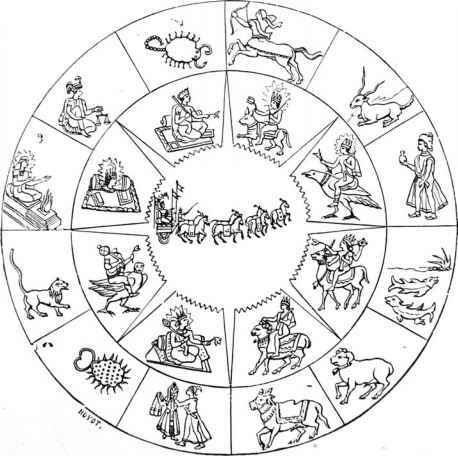 Suddenly they were responsible not only for alignments with the stars, but also for detailed interactions with the other components in the system. Suddenly they needed reams of highly accurate data—on the vehicles' dynamics, bending modes, actuator performance, engine gimbals—creating a whole new level of complexity in their relationships to North American and Grumman. About 10 to 30 percent of computer capacity would be required to run the autopilots, capacity that was far from plentiful as the software edged close to its performance margins (figures 6.2 and 6.3). control systems and the digital autopilot, he simply suggested replacing the insulation with a software routine to keep the spacecraft rotating like a rotisserie, distributing the heat load around the craft. A few lines of computer code replaced a heavy mechanical structure.